This beauty features large cream flowers on a dark gray fabric with coordinating mint sleeves. 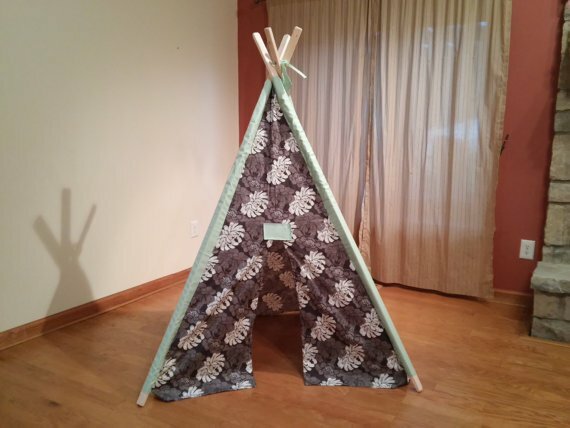 Our play tents are handcrafted with serged seams for years of enjoyment. Planed and sanded pine poles are included with all of our tents!